Ladies and Gentlemen, I introduce you to Steve P. Vincent, the author of the new action-packed tale of international intrigue ripped right from the headlines, THE FOUNDATION. Or as he is known in Big Time Wrestling “The Thrilluh from Down Unduh”! Okay, he doesn’t actually have a Big Time Wrestling name, at least not that I know of. But if he did it would be something like that. He does have degrees in political science and history, though. His honors thesis was on the topic of global terrorism and he has travelled extensively throughout Europe, the United States, and Asia. Steve lives with his wife in a pokey apartment in Melbourne, Australia, where he’s forced to write on the couch in front of an obnoxiously large television. When he’s not writing, Steve keeps food and flat whites* on the table working for The Man. He enjoys beer, whiskey, sports and dreaming up elaborate conspiracy theories to write about. Steve, tell us about THE FOUNDATION. 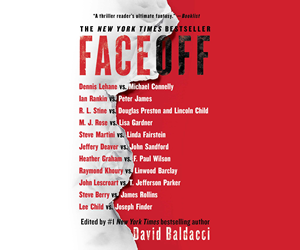 THE FOUNDATION is a punch you in the mouth political thriller full of intrigue, suspense and action against a backdrop that’s all too plausible. 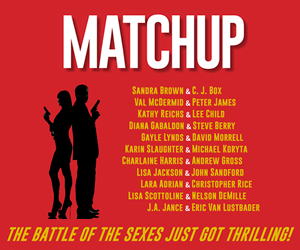 It was a lot of fun to write and I hope readers are enjoying it as well. It’s about the concentration of power in the hands of powerful organizations such as big business, the media, and think tanks, and what might happen when these powerful groups manipulate global events to seize power. 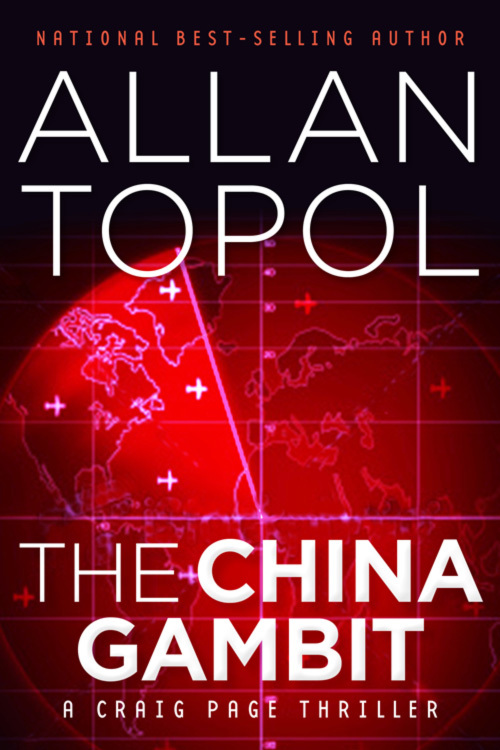 One guy, Jack Emery, is dragged into a power struggle when one such group, The Foundation for a New America, blows up half of Shanghai, starts a war between the U.S. and China, and tries to use the chaos to take over. SURVIVING THE ENDGAME has a ripped-from-the-headlines feel to it. What was the genesis for this story? 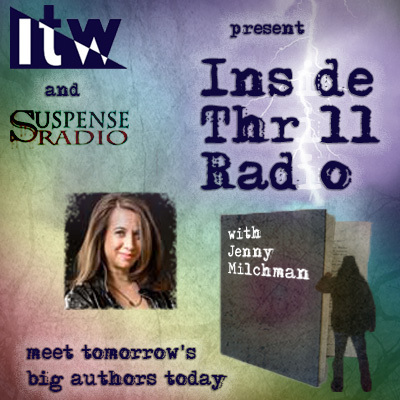 SURVIVING THE ENDGAME is the sequel to my earlier novel, INSIDIOUS DECEPTION. In that thriller, the reader is introduced to an international conspiracy formed to corner the market for rare earth minerals. When the conspirators encounter opposition from the U.S. president, they plot his assassination and scheme to develop the presidential credentials of a U.S. senator under their influence. In the new novel, the presidential election becomes a deadly contest between the conspirators and those seeking their destruction. How do you manage your research? Militarized drones played a major part in the story, and your depiction of their use was both frightening and very detailed. How big a future do you see for them? What about weaponized mini-drones? So far, the use of military drones has been one-sided. What predictions do you make when opposing belligerents use drones? My positions with the U.S. Department of Labor—such as Chief Economist of the Wage & Hour Division—required planning and conducting programs of economic research and then analyzing the findings. The research I initiate for my novels uses the same process but is more free-wheeling and exciting. As you note, I’ve found the use of drones to be a fascinating vehicle to advance the action in my thrillers. In INSIDIOUS DECEPTION a drone disguised as a Red-Tailed Hawk infects the President with weaponized H1N1. In the new story, drones launched from a U.S. air base are diverted to do the dirty work of the conspiracy. Drone development and use is the next-frontier arms race that will require new means of defense if we are to remain safe. Author Donald Bain brings us the latest in the Margaret Truman Capital Crimes series, UNDIPLOMATIC MURDER. In this installment, Washington, D.C. PI Robert Brixton’s younger daughter is slaughtered while sipping wine with him at an outdoor café when a teenage terrorist blows herself up. 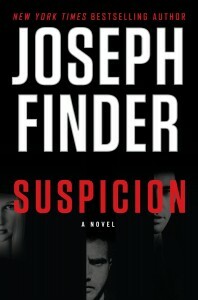 This sends the cynical, furious Brixton on a quest to uncover who was behind the bombing, and takes him into the murky world of lying politicians, international arms dealers, and deceiving alleged do-gooders, including the leader of a cult on the Hawaiian island of Maui, where, to discover the truth, Brixton lays his life on the line. 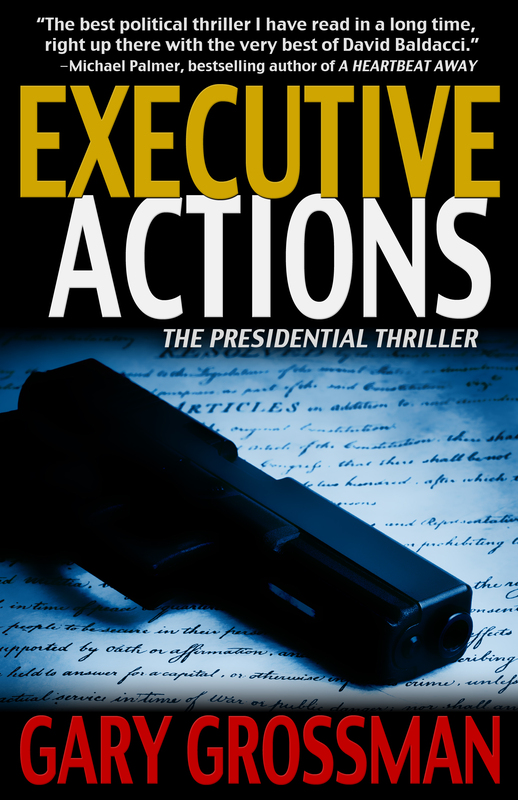 THE BIG THRILL recently checked in with Bain to learn more about his work on the series as well as the ins and outs of writing political thrillers. For those who may be unfamiliar, can you give us some insight into what the Margaret Truman Capitol Crimes series is about? This mystery/thriller series takes the readers inside a variety of Washington, D.C. institutions and agencies in which a murder or murders take place. Margaret Truman, President Harry Truman’s daughter, with whom I worked for almost thirty years until her death in 2008, had a refreshing, highly critical eye of Washington and its goings-on, and the twenty-seven novels in the series reflect her wickedly jaded view of politics and politicians. As her father once famously said, “If you want a friend in Washington, get a dog.” UNDIPLOMATIC MURDER, published by Forge this month, is the most recent book in the series. Since Margaret’s death, the books have carried my byline. 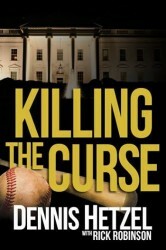 I want to tell you what happened to me as I wrote KILLING THE CURSE. The Chicago Cubs haven’t won a World Series since 1908. Baseball fans everywhere know that the team is cursed, most famously by the “Billy Goat” incident during the 1945 World Series in which a pet goat was refused admission and its master, Billy Goat Tavern owner Billy Sianis, put a curse on the Cubs. The Billy Goat Tavern also was a legendary Chicago media hangout and the setting for the “chee’burger, chee’burger” skits in the early days of Saturday Night Live. There are many more humorous and legendary tales of grief and heartache involving the Cubs—consider black cats, Gatorade spilled on a first baseman’s glove that perhaps caused a critical error in a playoff game with the San Diego Padres and the immortal Steve Bartman. (If you need an explanation of the meaning of Bartman, don’t worry. Either Google him or move on.) In my fictional World Series, the Cubs lose Game Six in a very Cub-like way, involving a swarm of gnats. The Cubs are the most iconic and memorable symbols of failure and frustration in the world of sports. They have millions of loyal, frustrated fans. So, I wondered, what would happen if there was a twisted and skillful fan—remembering that “fan” is shortened slang for “fanatic”—who would do anything to ensure they would break the curse and win baseball’s World Championship? Anything. And what if the threat was so grave that the Series might have to be fixed to guarantee the Cubs would win? 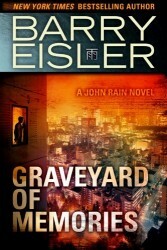 GRAVEYARD OF MEMORIES, the eighth in Barry Eisler’s compelling John Rain series, recounts how a twenty-year-old Rain transforms from jaded yet callow Vietnam War veteran to legendary assassin. 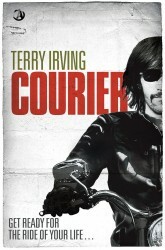 Living in 1972 Tokyo, Rain works as a low-level courier for the CIA, delivering cash bribes to corrupt politicians. When a delivery goes terribly wrong—in part because Rain can’t control his propensity for violence—he finds himself the target of Japan’s most powerful yakuza clan. To survive, Rain strikes a desperate deal with his CIA handler: he’ll assassinate a high- Japanese government official in exchange for the intel he needs to eliminate his would-be yakuza executioners. In carrying out his new role as contract killer and in battling the yakuza, Rain draws on his experience in the killing fields of Southeast Asia, discovering that he’s adept at the art of assassination. But he also falls in love with Sayaka, a tough, beautiful ethnic Korean woman confined to a wheelchair. The demands of Rain’s dark work are at odds with the longings of his heart, and with Sayaka’s life in the balance, he must ultimately make a terrible choice. A tale of love, war, and betrayal, GRAVEYARD OF MEMORIES explores how humans can be capable of great violence, but also, paradoxically, deep love and tenderness. GRAVEYARD OF MEMORIES begins with an epigraph from Kierkegaard: “Life can only be understood backward; but it must be lived forward.” How does that observation inform your novel? The older I get (I just turned 50, in fact, and am reminded of that Oscar Wilde quote, “I don’t mind getting older, when I consider the alternatives…”), the more I appreciate how many elements of my life I couldn’t adequately understand while they were happening, but that become increasingly coherent and comprehensible with the benefit of hindsight, experience, and, hopefully, a bit of wisdom. There are forks in the road we can’t see from ahead, only once we’ve passed them. I would think this would be even more true for someone like Rain, who has lived longer and suffered more than I have. What formed him—his own choices? His personality? Circumstances? Fate? Was there a particular time, or incident, or a woman, that acted as fulcrum in a way he could perceive only decades later? GRAVEYARD OF MEMORIES explores these questions within the life of one highly skilled killer, but of course they apply to all of us. The world economy is already in severe crisis when Amahl, a cunning Middle Eastern fanatic, butchers Morgan Melchior-America’s second black president-on live TV. Amahl’s name is linked with that of Brent Kruger, a homegrown terrorist and leader of a white supremacist cult. And the two of them are just getting started. Enter Dragon Team-an elite special ops group led by former FBI agent Levi Hart. Its mission: Waylay a plot by two of the world’s most dangerous terrorists to assassinate President Melchior’s successor and cause global economic collapse. But when Levi goes undercover to infiltrate Kruger’s gang of violent skinheads, he gets cut off from his backup team and has to go it alone. Now it’s anybody’s game to win, and the good guys are running out of time. Following DARTS OF DECEIT, retired journalist Wilf Nussey’s latest political thriller details a sophisticated attempt after the 1994 Mandela election to secede a large piece of South Africa as a white-ruled state. Though fiction, it could have plunged South Africa into civil war. Fact is stranger than fiction. It may yet happen. “Sporadic violence between 1990 when apartheid collapsed, and 1994 with the first democratic election, portended a gloomy future for South Africa. Then came the Mandela magic, and the country glowed under a rainbow of amity. But behind it lurked powerful forces for anarchy. After a mysterious death in Johannesburg, clever work by an experienced detective, plus luck, puts him and a young lecturer on the plotters’ track. It leads to widespread bloodshed and mistrust, military confrontation and attempted assassination,” said Nussey. Please tell us about your new release, DEADLY POLITICS. Politics is a blood sport in Washington , DC , and only the strongest survive. Like the politicians she’s rubbed shoulders with for a lifetime, Molly Malone is smart and tough and savvy enough to stay out of trouble—most of the time. However, trouble has a way of finding Molly. Years ago, Molly Malone was driven from Washington , DC by political back-stabbing, scandals, and personal heartbreak. But now, circumstances have forced her to start a new life in the one place she swore she’d never return to—and face the ghosts and the enemies from her past.